Welcome to The Talkative Writer’s guest post with American fantasy author Joshua Palmatier. Joshua Palmatier is an epic fantasy writer with a PhD in mathematics. He currently has six books out from DAW, including the “Throne of Amenkor” trilogy and book one of a new series, “Shattering the Ley”. 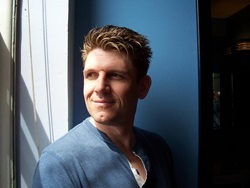 His short stories appear in numerous anthologies and he has edited three anthologies with co-editor and co-conspirator Patricia Bray, including “Clockwork Universe: Steampunk vs Aliens” (coming August 2014). He is also the founder of the small press Zombies Need Brains LLC, which will produce SF&F themed anthologies. You can find him at www.joshuapalmatier.com. 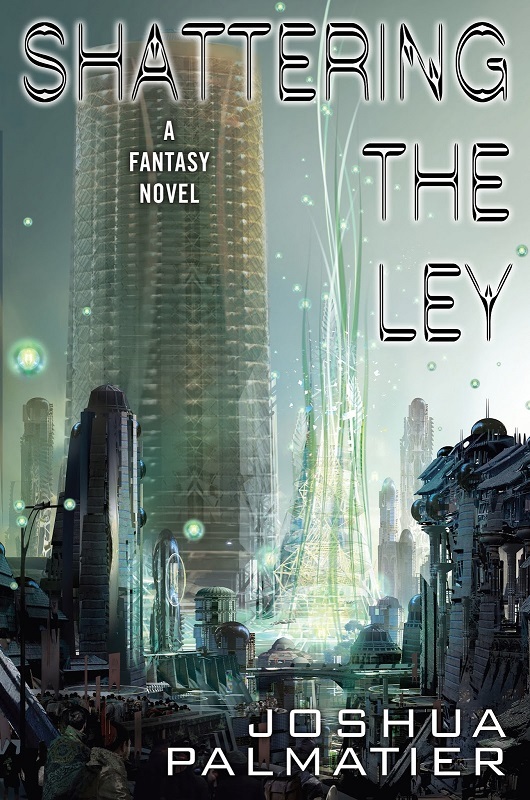 One of the main questions I get asked about any of my books is where the idea came from, and for Shattering the Ley, I think the story is quite interesting, so I thought I’d focus on that. You see, back in the 80s I was reading a ton of fantasy, and nearly every single book (it seemed) mentioned magical ley lines, the mystical force that supposedly connected the stone monuments scattered throughout Europe, like Stonehenge. These lines of force were used in a few stories, but mostly they were mentioned as background to the real story, basically just part of the setting. I grew annoyed with them, because even those who used the ley lines in their story weren’t really using them, if you know what I mean, and their mention became a fantasy trope. I immediately vowed I would never, ever write a novel using ley lines. *snort* Obviously that didn’t happen. Because the idea of ley lines kept nagging at me. But I didn’t want to just do ley lines. I wanted to actually use them in a way that hadn’t been done before. I’ve always believed that a good book is born when three significant ideas come together. So I had one of them: ley lines. But the other two (one of which is always a vivid character) hadn’t shown up yet. So I let the ley lines idea sit and ferment for a while. And then, while writing the “Throne” books, a scene reminded me of something I’d written about in a previous unpublished book and bam! I had the second idea: a fantasy where the society had taken magic and developed it like an energy source, as we’d done with electricity. What if a society discovered the ley lines, tapped into them, augmented them even, and then built cities around them? It would dramatically shift the culture, since suddenly the nodes of the ley lines would become focal points for power and trade, rather than ports along the coast, or towns along rivers. And along with this second idea instantly came the third: a young girl, Kara Tremain, who has the power to manipulate the ley and become one of the Wielders. All of a sudden, I could see the city of Erenthrall in my head, a place not unlike New York City or London or Sydney, the society advanced enough that they were using the ley lines to “grow” their buildings, to power horseless carts, to fly sailing barges above the earth. The world came vividly to life in my mind’s eye, and I knew I could use Kara to explore that world. And lo! “Shattering the Ley” was born! Of course, there was plenty left for me to discover while writing the story. If the Wielders controlled the ley, who controlled the Wielders? Would everyone in the society be willing to let whoever that was retain control? And what about the ley itself—could the culture be abusing the resource? Overextending it? What would be the consequences? There were plenty of avenues to explore. So that’s where the idea for “Shattering the Ley” came from—disappointment with how the ley lines that were so prominent in the 80s were being used (or not), along with the idea that a society could use the ley lines as a power source. I hope I’ve intrigued you enough to check out the book. Thanks again to Karen for letting me guest post here today! This entry was posted in Writing and tagged Guest post by Karen Miller. Bookmark the permalink.